Set in modern-day Vancouver, Mason is an ex-con/ex-addict married to Becky, also an ex-addict, with a three year old daughter, Kaitlyn. Both are struggling to live normal lives, free of drugs and crime but their low-paying jobs – Mason works a removals job, Becky’s a cleaner – and the skyrocketing Vancouver rents make walking the straight and narrow that much harder. Something’s gotta give. 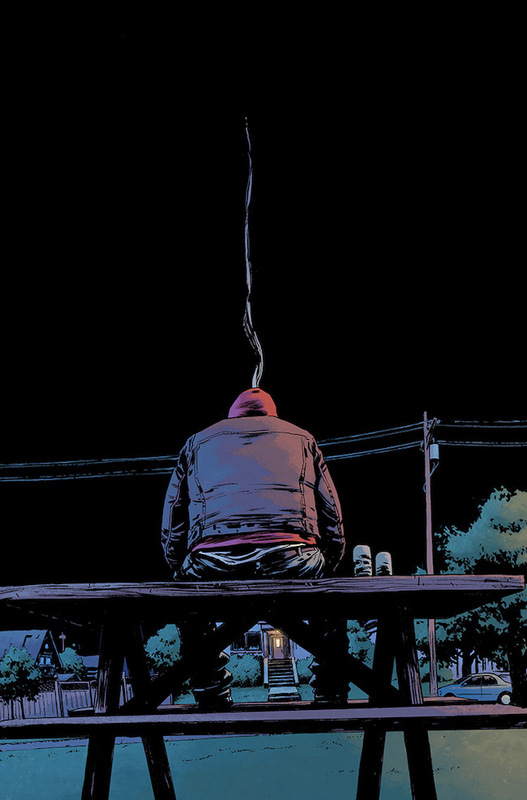 Writer Ed Brisson immediately creates a sense of tense uneasiness from the first page as Mason is in an upscale neighbourhood scoping a house he could never afford, contemplating… burglary? Maybe he’s thinking of a better life, either taunting himself masochistically or building up the drive to realise his dream? From there we see Mason try and do the right thing and, sadly, fail each time. His wife Becky seems more together but temptation rears its ugly head when a dealer from her old life tries roping her back into bad habits. Couple that with rent woes as she’s stiffed on pay and she finds herself contemplating oblivion once again. Besides the story of Mason and Becky, Brisson, himself a Vancouver resident for 20 years, wants to show his audience how dismal things are for people there. A dual influx of hipster tenants and Chinese investors, along with a lack of enough new builds, has led to astronomical rents for anyone wanting to live in Vancouver. The Chinese aren’t even moving in, they’re just investing in real estate (it’s true – Bing it)! Mason and Becky may be fictional struggling residents but they’re representative of real people who are in the same depressing boat. Never having been to Vancouver I can’t speak as to its depiction in this comic by artist Adam Gorham but, together with colourist Michael Garland, they produce some compelling pages. The visuals are well-placed within the panels and effortlessly carry the story forward when Brisson’s script goes “silent”. Though the settings are drearily familiar to anyone who lives in a city, they manage to keep the reader’s eyes fixed on the page. The only negative critique I’d say is the short story added on to the end of the comic, Head Down by Sam Wiebe (a format which will feature throughout the run with stories only by Vancouver writers). It’s about a robbery by guys in balaclavas from the perspective of a witness and, no, sorry, it wasn’t for me – but then I’m not a great one for “gritty” crime fiction in general. 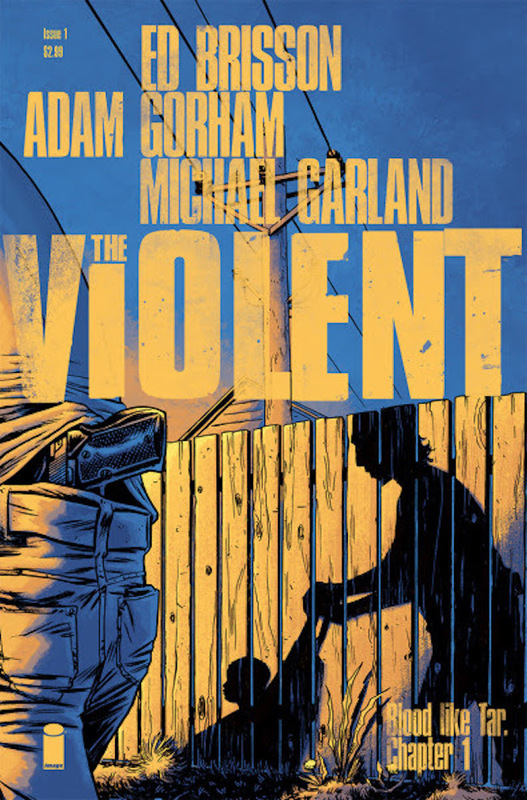 Otherwise, The Violent #1 is a fantastic start to this new series. I’m guessing things more or less work out for Mason, Becky and Kaitlyn in the end but I really don’t know and I like that unpredictability, and I like these characters too – I definitely want to see what happens next. 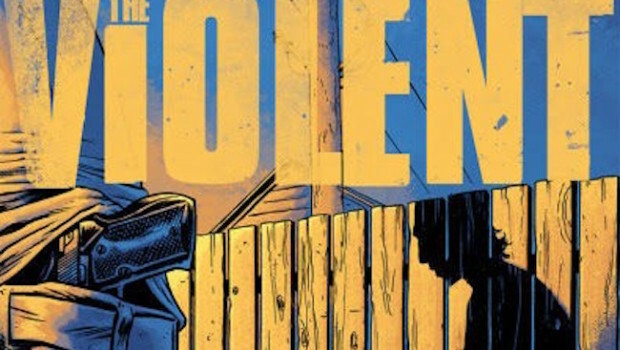 It’s not as stylised as Brubaker and Phillips’ series but if you’re a fan of Criminal (which also joined Image’s catalogue this year), you might like The Violent.